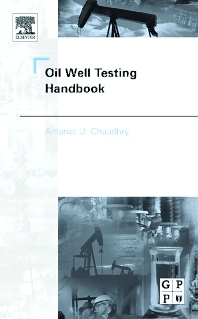 Oil Well Testing Handbook is a valuable addition to any reservoir engineer's library, containing the basics of well testing methods as well as all of the latest developments in the field. Not only are "evergreen" subjects, such as layered reservoirs, naturally fractured reservoirs, and wellbore effects, covered in depth, but newer developments, such as well testing for horizontal wells, are covered in full chapters. Amanat Chaudhry is President and Engineering Manager with Advanced Twpsom Petroleum Systems, Inc. in Houston, Texas. He founded Twpsom in 1995. The company is involved in the development of PC-based well simulation and management software support models and programs in reservoir and production engineering. He has more than 20 years of international and domestic experience in reservoir engineering reservoir simulation development and applications, well testing, water flooding, EOR techniques, reservoir studies and operations. Mr. Chaudhry formally worked as a Senior Reservoir Engineering Advisor an Senior Staff Reservoir Engineer of Pertamina, the state Owned Oil Company of Indonesia. He also worked as Senior Reservoir Engineer with Core Lab Inc. - now Western Atlas in Reservoir Simulation Application Group in Dallas. He has started his career in the oil industry with Reservoir PVT & EOR Lab Inc. (subsidiaries of Core Lab Inc.) in Houston, Texas, as a Research Associate. Her holds MS degrees in Petroleum Engineering and Chemical Engineering both from the University of Pittsburgh, PA.